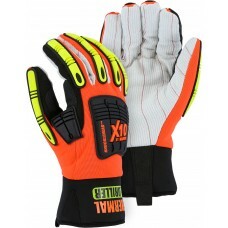 The winter-lined Driller X10 combines traditional cotton driller gloves with a mechanics-style back ..
Armor Skin™ synthetic leather palmKnit back with neoprene knuckleVelcro wrist100 gram Heatlok™ lined..
Armor Skin synthetic leather palm with reinforced paddingVelcro wristWaterproof and windproof to kee..
Our 2150H Golden Eagle is an extremely comfortable winter lined mechanics glove with a grain deerski..
Slip-on driver style with beige pigskin palm, shirred wrist, black stretch knit back and neoprene kn..
Gold pigskin palm, stretch knit back, Velcro wrist closure with wear/grip patches on the palm and fi.. 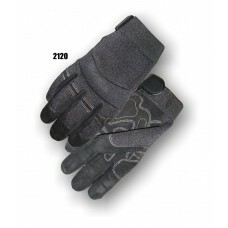 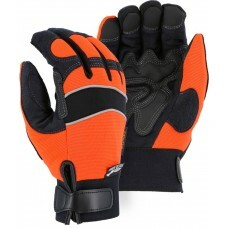 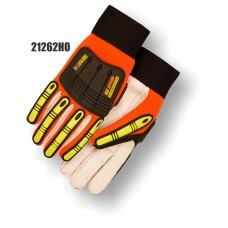 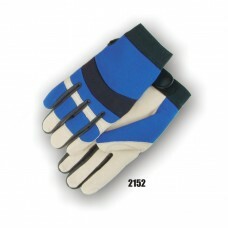 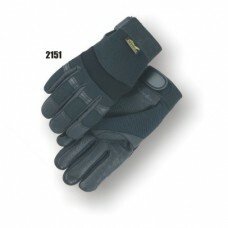 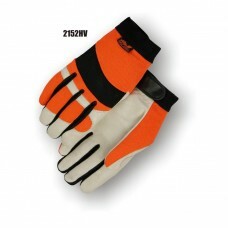 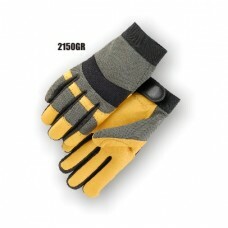 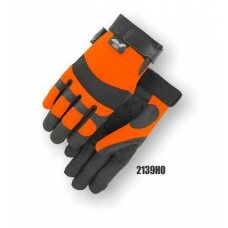 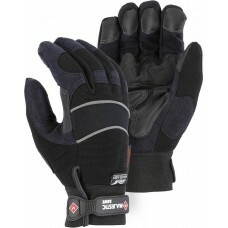 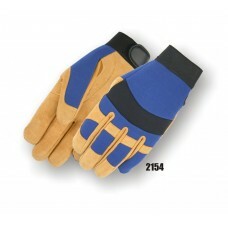 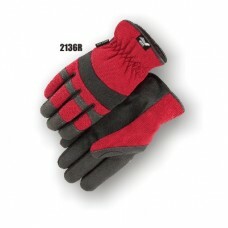 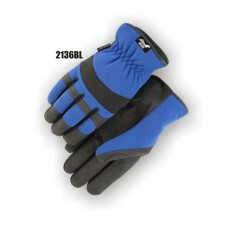 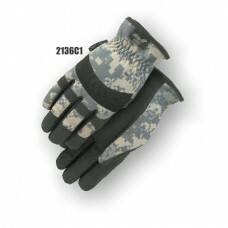 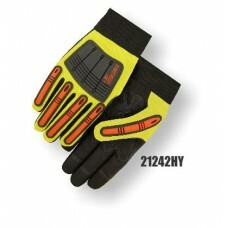 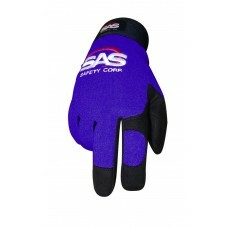 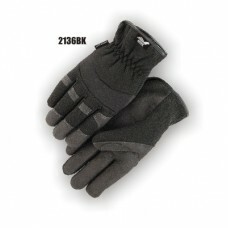 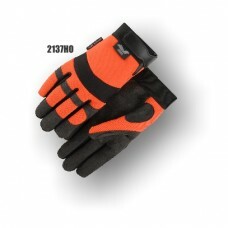 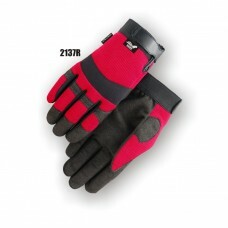 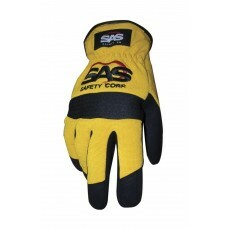 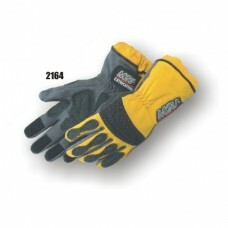 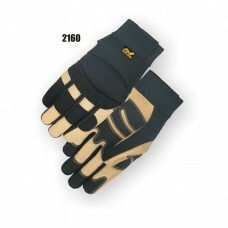 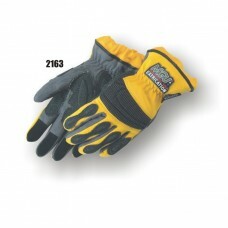 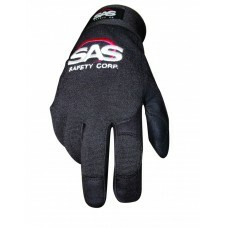 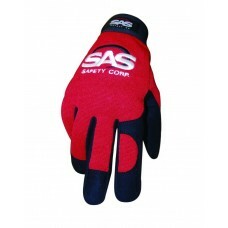 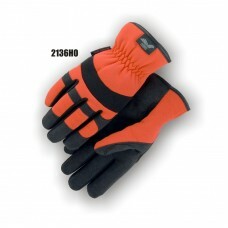 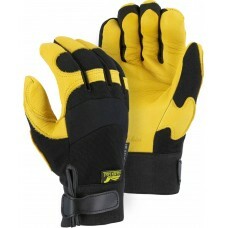 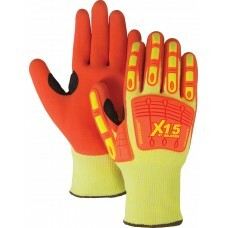 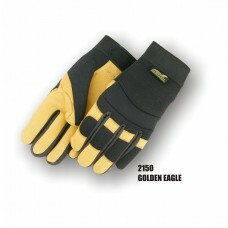 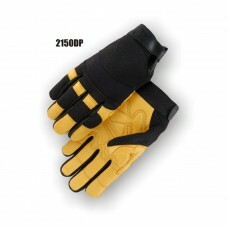 Reversed Cowhide Grain PalmReinforced Padded Palm PatchesExtra Protection from the Fatigue Associate.. 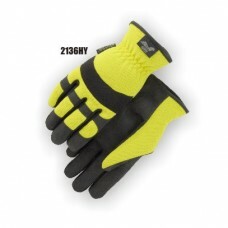 The comfort and feel of deerskin in a true mechanics style glove.One of our most comfortable, best f..
Deerskin in a True Mechanics Style GloveSeamless PalmWing ThumbStretch Knit BackNeoprene Knuckle Are..
Knucklehead heavyweight Armor Skin synthetic leather, PVC reinforced patch palm, high visibility yel..
Armorskin Synthetic Leather, camouflage knit back, slip-on. 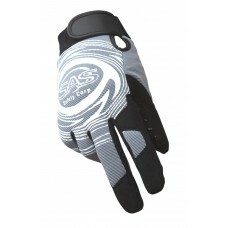 Armorskin Synthetic LeatherNeoprene Knuckle to absorb shocksBreathable Knit BackSlip On StyleAvailab.. 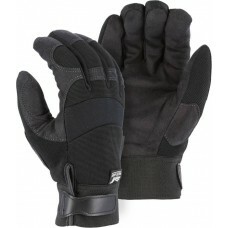 Synthetic Leather (Clarino Parity) PalmBlack Stretch Knit BackNeoprene KnuckleVelcro Wrist ClosureAv..
Armorskin Synthetic LeatherNeoprene Knuckle to absorb shocksBreathable Knit BackVelcro ClosureVariet..
Armorskin Synthetic Leather with a Wear Resistance Equal To LeatherNeoprene Knuckle to absorb shocks.. 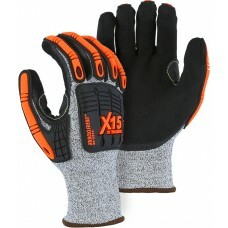 Premium Grain Pigskin PalmHigh VisibilityOrange Stretch Knit BackNeoprene Knuckle and Velcro Wrist C.. 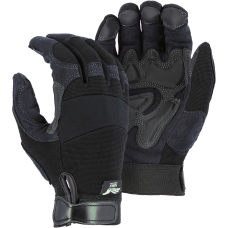 Premium grade pigskin palm, blue stretch knit back with neoprene knuckle area and Velcro wrist closu..
A-Grade Black Deerskin Palm Seamless black deerskin palm Stretch knit back with neoprene knuckle.. 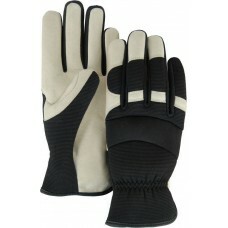 Premium Reserved Grain Cowhide PalmStretch Knit BackNeoprene Knuckle AreaVelcro Wrist Closure.. 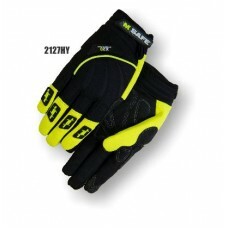 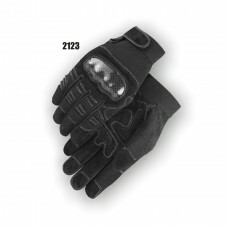 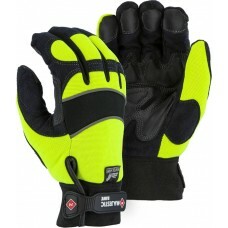 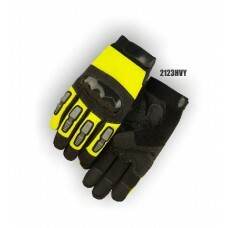 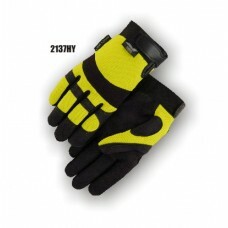 Extremely Tough Extrication Gloves for Emergency Rescue WorkForm Fit Design is ContouredKevlar Loade.. 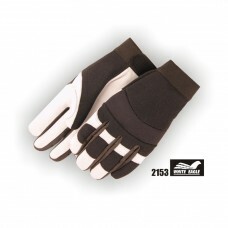 Grain Deerskin with Padded PalmThumb CrotchFingertip Patches for Added Protection and WearDesigned t..
Corded Cotton/Polyester Palm for absorption and gripRed stitching in the palm securing the lining ag.. 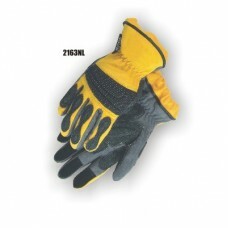 Outstanding Gripping Power Great Protection Against Blisters, Cuts and Abrasions Spande.. 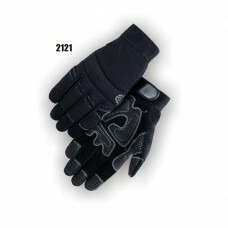 Outstanding Gripping Power Great Protection Against Blisters, Cuts and Abrasions Spandex Top for Gr.. 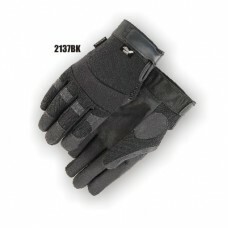 Reverse Cowhide PalmPadded Patches for Added ProtectionDesigned to Lessen Hand FatigueBack is a Stre.. 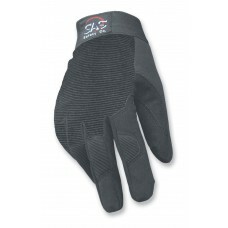 Synthetic Leather (Clarino Parity) PalmReinforced Silicon Palm PaddingBlack Stretch Knit BackNeopren..
Silicone Strips on Fingertips and Palm for Secure Grip Designed for Packaging/Assembly Operations a.. 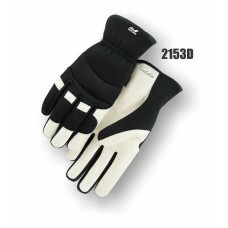 Premium White Grain Goatskin PalmBlack Stretch Knit BackNeoprene Knuckle AreaVelcro Wrist Closure..
A Grade White Goatskin PalmBlack Stretch BackNeoprene KnuckleSlip On StyleMechanics StylePre-curved ..
Amor Skin Knucklehead X10, synthetic leather palm with full finger and backhand TPR impact protectio..
X10 Knucklehead Synthetic Leather Palm, Elastic Wrist, High Visibility Yellow. 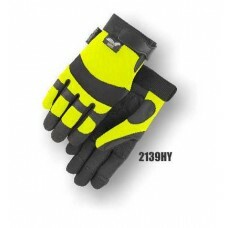 High Performance Polyethylene seamless knit glove Thermo Plastic Rubber (TPR) back for impact prote..
High Performance Polyethylene seamless yellow knit glove Thermo Plastic Rubber (TPR) back for impac..